The Poisoner’s Garden & Others (Selected Poems), first edition ever. Signed & inscribed trade paperback edition from Alkemara Press will be available only from this website. The ebook will be published in online ebookstores May 7, 2019. Preorder the ebook if you prefer via the links on this page, or get the unsigned trade paperback from Amazon. 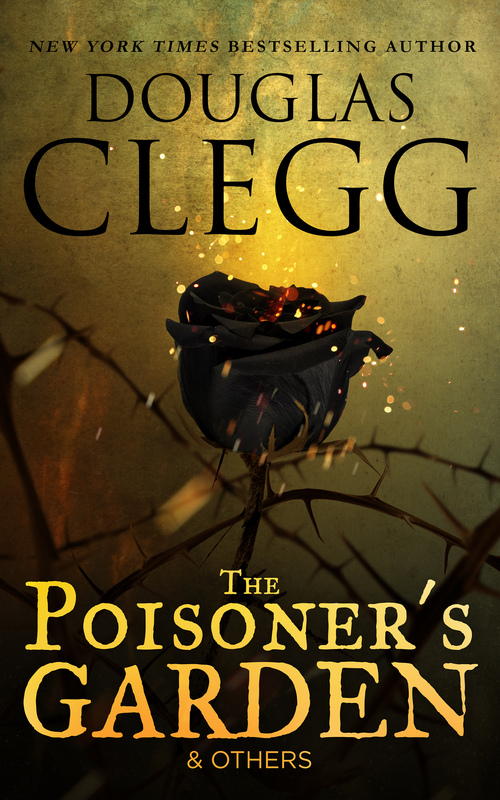 Award-winning author of dark fiction, Douglas Clegg gathers 22 of his poems for the first time ever into The Poisoner’s Garden & Others, ranging from those with a dark gothic edge, to rhymes of whimsy with strange twists. Plus a Foreword and Afterword by the author.